paul gregutt's washington wine blog – unfined & unfiltered: when is a reserve not a reserve? On this occasion, one lineup was under the Oak Grove label; the other branded as Wily Jack. They brought with them quite different marketing approaches. Wily Jack attempted to create a character and wrap the brand around him. The Oak Grove wines rather brashly used the word “reserve” to suggest that they might be of a higher quality than the $8 price tag would suggest. As far as I am aware, Wily Jack rode off into the sunset some time ago. But Oak Grove is still with us, and a quartet of 2012 white wines arrived at my door a couple of weeks ago. The good news – still $8. As before, these latest Oak Grove wines are attractively packaged, varietally labeled, and carry useful tasting notes and food matching suggestions on the back label. The use of the word Reserve still gravels me. There are no regulations that control its use. Any wine can be labeled reserve. There are 50,000 cases of Oak Grove’s 2012 Reserve Chardonnay. That, plus the price tag, plus the lack of an AVA any more tightly defined than “California” would seem to suggest that the producers have stretched the term well beyond any meaningful limits. This may seem like a snooty wine critic gripe, and maybe it is, but honestly, there is so much to like about these wines that it seems to me that the use of the term is not only disrespectful to other wineries whose reserves are actually that, but it’s also unnecessary. The quality is there in the bottle. For an eight buck chuck it’s a pretty good quaff. Among the four whites, I especially liked the Viognier and the Sauvignon Blanc. Neither wine seemed over-worked; both had expressive fruit flavors and good balance, with alcohol falling under 14% and no indication (as far as the flavor was concerned) that oak chips, dust, powder or any other oak treatment had played a part in the winemaking. The Oak Grove Chardonnay and Pinot Gris were sweeter to the taste, though the listed residual sugar on both was the same as the other two white wines. But if your tastes run toward more fruit and bigger body, these would be the better choices. If you want a wine with tart, herbal character, go with the Sauv Blanc. And if you are more excited about a citrus and floral wine, say somewhere between a light Chardonnay and a Muscat, then I’d recommend the Viognier. With no reservations. Hear! Hear! on the misappropriation of "reserve." I wish there were some type of restriction such as, no more than TWO HUNDRED cases produced, to be considered a true Reserve. Eight barrels. Set apart for their extraordinary brilliance. That would really mean something! This is pretty timely. Jose just pulled a Wily Jack from the wine closet the other night and I said, "You remember... it came with a little branding iron for our steaks?" Meanwhile, I know the source of fruit for Oak Grove. The vineyards are pristine, sustainably farmed on the Central Coast... It's great wine for the money. So happy to see that you enjoyed the under $10 value. I do, too. Those with l-o-n-g memories will recall the Benzinger family's Glen Ellen "Proprietary Reserve" Cabernet Sauvignon . . . the "2 Buck Chuck" of its time in the late 1980s and early 1990s. A real head-scratcher on what made it a "reserve" wine -- other than marketing puffery. 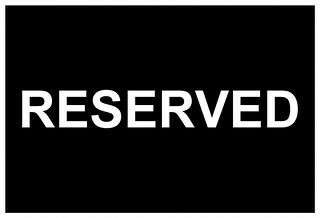 As the lawyers will tell you, there is no legal definition for the term "reserve" in domestic winemaking.